inner strength and resilience so you can confidently grow an effective and sustainable business. Your mind is your business' greatest asset. It's time to give yourself permission to allow your real potential to flow. Are you an entrepreneur who is tired of feeling held back by limiting beliefs? Are you ready to feel empowered and take ownership of your time, your potential and your wellbeing, so you can thrive in your business and in life? If that's a yes, then Be Calmer has been designed with you in mind. The entrepreneur life is a busy one, with mounting responsibilities - that's part of the reality of entrepreneurship. Now just imagine feeling in control of all those responsibilities, managing those busy thoughts whirring around in your mind, embracing a crystal clear understanding of what you actually need to focus on each day? Picture yourself looking happy, centred and empowered, hearing positive reinforcements in your mind that you can handle whatever comes your way - understanding and accepting the turbulent nature of entrepreneurship? What would that mean for you, in your current situation? What would that give you? Too many entrepreneurs are held back by overworking and burnout, and we're here to show you a powerful alternative to 'working all hours', through tried-and-tested, practical, evidence-based techniques. Our programme delves into what inner and outer success looks like for you, and what it truly takes to look after your wellbeing while growing a business. 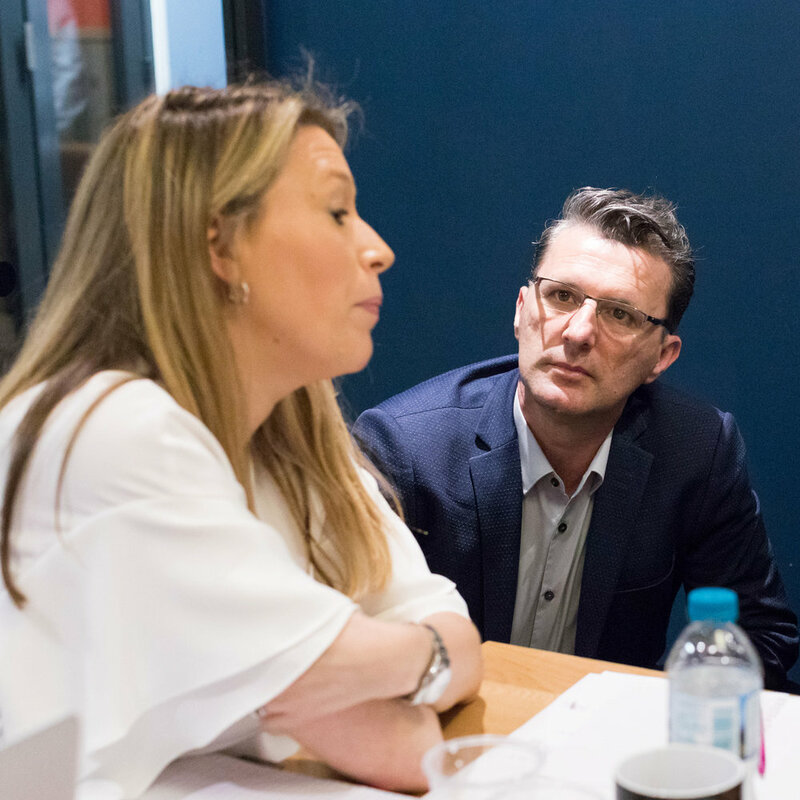 Led by Calmer Founder Tania Diggory and featuring an incredible line-up of expert guest speakers, Be Calmer is the first group programme of its kind in the UK dedicated to supporting the mental wellbeing of entrepreneurs. No matter what stage you're at on the entrepreneurial journey, we will teach you how to build a thriving, sustainable business with your wellbeing at the heart of it.